My doctor said I should increase my fish intake by adding more salmon and other fish too.I am cooking up a storm with more salmon,enjoying more fresh sushi and other fatty acid foods but also want to back that up. I came across this product by NeoCell and as usual had to share it with you. 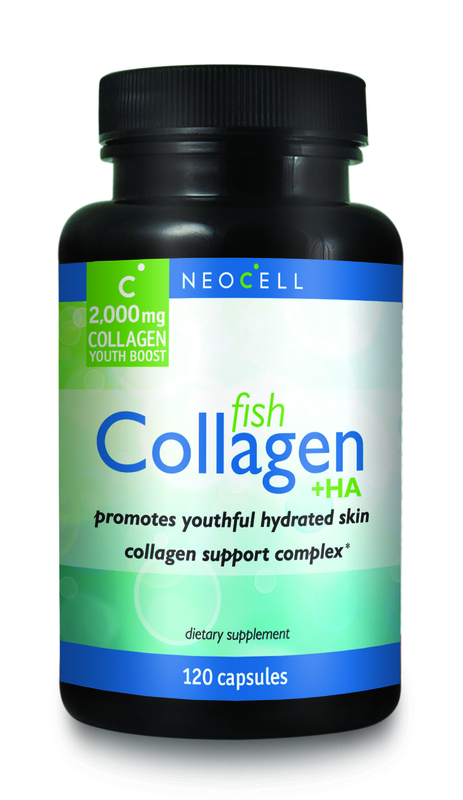 Fish collagen +HA is a revolutionary youth and beauty enhancing complex that works on the DEEP,structural layer of the skin,called the dermis,to increase the strength,elasticity and hydration.levels of the skin. Collagen Type 1 provides the vital building blocks needed for increasing the mechanical strength of the skin. Hyaluronic acid hydrates the dermis,which promotes elasticity for wrinkle prevention. These nutrients ALL work together in the dermal layer to keep your skin looking younger. NOW, my husband is hooked too. NeoCell my go to for supplements to look gorgeous and feel good too! MY skin loves this! My mirror tells me so.